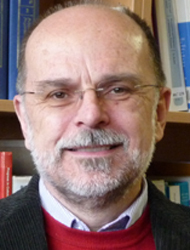 Axel Müller was professor of macromolecular chemistry at the Bayreuth Center for Colloids and Interfaces from 1999 to 2012, before coming to JGU as GRC fellow. His decisively broad expertise ranges from the fundamentals of polymer production through new nanomaterials to materials science. In 2011, Müller was appointed as fellow of the Polymer Chemistry Division by the American Chemical Society, and in 2012, he received the Hermann Staudinger Prize from the Society of German Chemists. Press release "German-Finnish research team succeeds in organizing programmed nanoparticles into highly complex nanostructures"